Wind & Tide Preschool (3 and 4 year-old programs) operates out of the Delta Christian School facilities (not affiliated). Many students graduate from the Wind & Tide program to kindergarten at Delta Christian School. 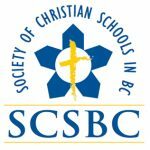 Separate applications are required for Wind & Tide and Delta Christian School. For more information, visit the Wind & Tide website.